Just in at Vintage Cellars are the powerful WhisperKOOL 5000ti Platinum Extreme Cooling System and the WhisperKOOL 5000ti Platinum Extreme Fully Ducted Cooling System. Both of these advanced products are high-end, self-contained cooling units at the very top of the WhisperKOOL line. These state-of-the-art cooling units are brand new, replacing the earlier WhisperKOOL 4000 Platinum Extreme models, which were also exceptionally dependable. Easy to install, and ready to work immediately afterward, the WhisperKOOL 5000ti Platinum Extreme upgrades are the next generation of cellar temperature control technology. 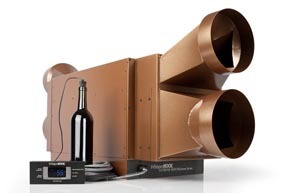 Complete with an advanced electronic control system, a remote digital LED readout, liquid bottle probe, humidity control, energy saving mode, and a 55° temperature differential–not to mention a two year parts and labor warranty–these nearly-noise-free cooling units are designed to work in any cellar space, even in extreme environments. We’re very excited about these fantastic WhisperKOOL upgrades, and hope you’ll be, too! Free standard shipping is offered on all WhisperKOOL units, and you’ll even receive a free set of two Riedel “O” Series Cabernet Wine Glasses with your order. 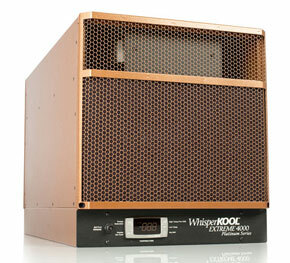 With WhisperKOOL technology, creating ideal cellar temperatures has never been easier! Wine Review: Le Grand Pinot Noir 2009 Why Wait on a Wine Cellar?